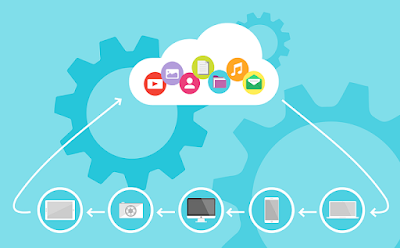 As cloud storage is specially made for enterprise-level users, File storage is specially for personal use which allows you to store important data on cloud or online platform with synchronizing enabled. There are wide range of services and options are available only when you pay for it. Also you could get some limited options for free. Check out the best online file storage which we had listed below with their features and its offering for both free and paid users. All services have dedicated client for desktop, mobile and tablets. Cloud File Storage: This refers to storing all your files on online cloud storage servers which is managed by hosting companies. These cloud storage allows you to keep the files online and accessible through any platform. People or organisations buy/ rent storage capacity from the providers to store user/organization data. These cloud storage services can be accessed throught co-located cloud service, API, Gateway or Web based CMS. Pay-per-usage: Can actually reduce the cost of consumption through the month. Backup facility at 2-3 different backup servers. Mobile Cloud File Storage: Also, referred to the cloud storage which is accessed from mobile devices such as laptop, tablets and smartphones. These services allows users to manage their files, folders, musics, videos and pictures on cloud servers. These services are specially made for commercial usage that along comes with a business usage. Mobile Cloud Storage is available in free model and also charges additional cost for extra space once the free limit is exceeded. All these charges varies based on the capacity of storage usage and will have monthly subscription. It allows synchronization of all files and folders across many available platform. Mobile manufactures adds these mobile cloud storage functionality in its devices to backup and synchronize certain device files and information. Apple iOS uses iCloud Services to backup their phone data. Android OS uses Google Drive account to backup their phone data. Microsoft uses Onedrive to backup their phone data. Samsung tied-up with Dropbox to backup their phone data. File Hosting Services offers hosting files and folders and allows users to upload files on online and it will be available on internet to download and access files across any platform. Backup of files on Cloud storage. One of the popular and best file storage and synchronization service offered by Google is Google Drive. It allows users to store files and other media files and folders on the cloud and synchronize files across all the devices and also can be shared among friends. These services can be accessed from Drive.Google.com as well as other platform includes Windows, macOS, and Mobile Devices. Google Drive is connected with Google Docs, which allows you to create, edit and share Google docs, sheets and slides a complete office suite tool. All files created will be saved in Google Drive. It offers users 15 GB of free storage and also 100 GB, 1TB, 2TB, 10TB, 20TB and 30 TB through paid plans. Max file size to upload is upto 5TB. Users can apply privacy setting for each files and folders and allows sharing with particular users with email/links. Also, users can search for any files and folders from search bar in the website. Android Mobile data will be backed up on Google drive and can be restored on new devices. Over 800 millions users are actively using Google drive. More than 2 Trillion of files are stored. One of the most commonly used file sharing service is Dropbox owned by American company Dropbox Inc., in San Francisco, CA. Dropbox offer cloud storage space, backup sync, personal cloud and client software. Dropbox uses Freemium model which offers 2GB free storage space for users who registered and 1 TB for Dropbox Plus users with more additional options like., advanced sharing controls, remote wipe and extended history version. Dropbox creates a special folder in user's computer through the client and allows you to store any files and folders on that which will be synchronized to Dropbox's servers and to any computer which had an installed client and integrated with it, keeps data up-to-date on all devices. Expiry: 1 Year of account inactivity. Best Suitable for: Individuals and Small business owners. iCloud is online file storage from Apple, which provides users to upload their data such as, documents, photos, videos and other media files on remote servers and enables to download on iOS, macOS or Windows devices. iCloud also provides manage their Apple devices if lost or stolen. iCloud also enables wirelessly back up iOS devices directly to iCloud account. From AirDrop Wireless, you could able to share photos, videos, musics and games instantly by linking accounts. Also, Apple's MobileMe service is a syncing data center for email, contacts, calendars, bookmarks, notes, reminders, iWork documents, photos and other data. In 2011, iCloud was introduced at Apple WWDC and later announced that it will be replaced with MobileME. The website of iCloud is Www.icloud.com went live in October 2011. iCloud have 20 Million users in less than a week after its launch. OneDrive had many name changes in past, Earlier it was generally refereed to as SkyDrive, Windows Live SkyDrive and Windows Live Folders is a part of online file hosting service by Microsoft. All the files and folder can be stored on both offline on widows or any system with Onedrive Client and online on OneDrive.com. Files are synced on PC and accessible across any platform with Onedrive client. Also files can be shared with anyone for temporarily with a expiry of sharing limit. 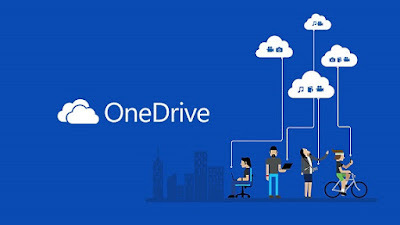 OneDrive offers 5 GB of storage space for new users as of 2016. First every Onedrive was released a beta version on 2007, had a name "Windows Live Folders" with a codename of SkyDrive. Later it was renamed again to Windows Live Skydrive and it was available to Testers in United kingdom and India. On May 2008, SkyDrive was available on more than 38 countries and later on expanded to 62 countries. Storage capacity for OneDrive had received so many changed ever since it got released. Initially services offered a storage space of 7GB for one year and additional 3 GB for Students. Later it extended the storage space for a shorter offer period with 25 GB. Upon the relaunch of OneDrive in 2014, The default storage space was 15 GB and is now reduced to 5 GB in 2016. Best Suitable for: Individuals & Business owners. Box was formerly referred as Box.net is Cloud content management and file sharing services for business. Business model operates on freemium model to provide file hosting storage space for personal and business purpose. Available client platform which can be used to access all your files and documents are Windows, macOS and other mobile applications. Box was founded in 2005 by Aaron Levie as a college project and later Levie discontinued schooling and continued his business as CEO along with his school friend Dylan smith became CFO. Model: Premium & Free (Trail only). Best Suitable for: Individuals & Small Business owners. 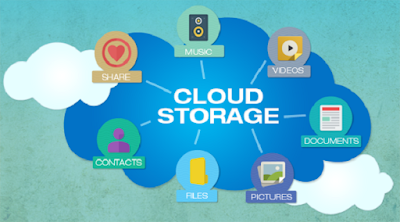 We hope, this above should help in choosing the best cloud storage. Also we had given recommendations based on million people using these services as online file storage for their files and documents can be accessed from anywhere.